I've made a vow to start using the vintage patterns in my collection to make things that I can wear in everyday life... and if I'm honest with myself, that means I should focus on simple separates vs. dressy dresses. 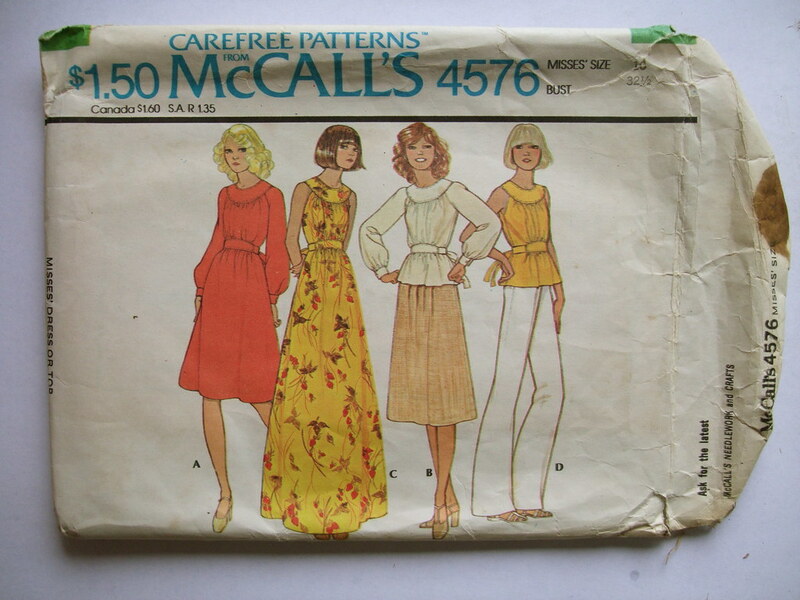 I usually wouldn't look twice at a pattern from the 70's, but this McCall's top from 1975 seemed so incredibly modern that I thought it would be fun to give it a try. It also worked out great because I had less than a yard of this cheery vintage floral print, and this is about the only garment that I could find that would make use of such a small piece. This shirt was super easy to make and only took a few hours to complete. I think it would especially be cute in the longer length as a dress, so I might have to try another one at some point in the future. The only change that I made was raising the placement of the belt by an inch or two, which I kind of regret now because it looks like a maternity blouse! But it is incredibly cool and comfortable, so I'm sure it will get lots of wear around the house this summer. 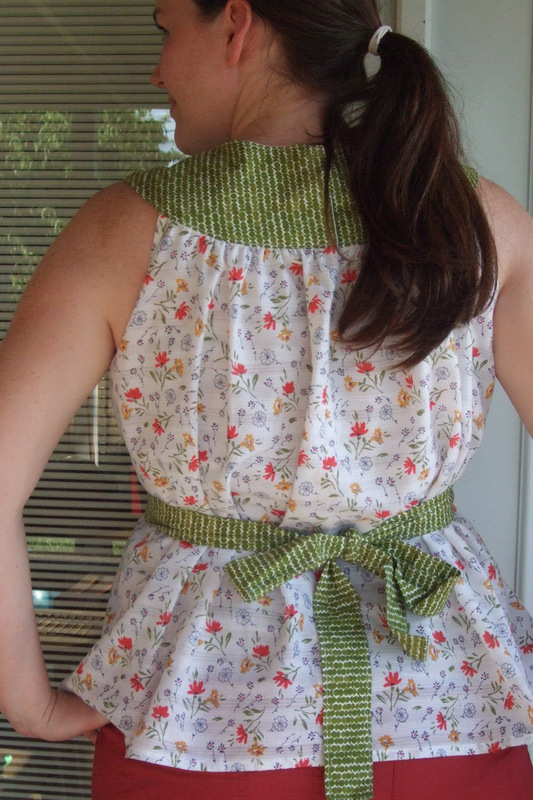 I'm trying to do the same things with my vintage patterns. Separates are a must for me, too! 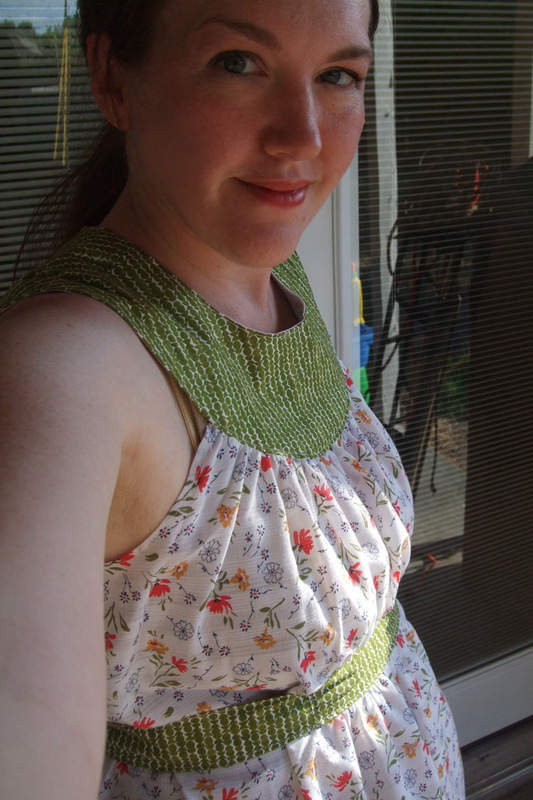 I really love this blouse - the 1970s is probably my favorite fashion decade. The fabrics that you used to create it are fab! Having just taken off a 1950's pattern dress, all I can say is I am breathing again. Whoosh they sure are tight in the waist. Your top looks like a dream to me right now. I love it! Great idea! Wow, that looks really now. Great interpretation of a retro look. I'm also a separates fan. I probably only have about 6 dresses in my closet right now, but close to a hundred tops. Looks adorable! Can't you just unpick and scootch the belt down if you don't like the placement? Your top is lovely Jen. I love your colour and print combinations. This pattern brings back memories because I made View C for my high school convocation ceremony....so you can guess how "vintage" I am! I made it out of a soft polyester print, brown with orange flowers. How 70's is that!?! 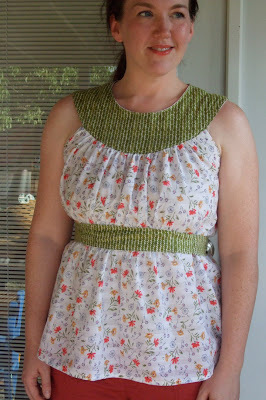 Now I want to make a top like yours!